Stocking Rainbow trout. Photo by Larry Hodge. It’s the holiday season, and chances are you have a few days off with the family. You can stay indoors and eat a bunch of holiday baked goods, or you can get to a lake or pond and reel in a rainbow. A rainbow trout, that is. We do winter stockings when the water temperatures permit it, to provide an opportunity for anglers to catch trout in Texas. It’s a species of fish that anglers wouldn’t catch otherwise, so we stock them, and we intend them all to be caught out during the season. Carl Kittel is a program director for Inland Fisheries. He says the agency will stock about 150 sites around the state, and will distribute approximately 250-thousand catchable rainbow trout. Perhaps even up to 300-thousand. The fish will be divided among the various locations, including urban neighborhood fishin’ holes. We publish a schedule on the Texas Parks and Wildlife Department webpage. Look for the winter trout stocking link. Carl Kittel says we stock rainbows in winter because these fish cannot survive our hot summers. So, when you reel one in this winter, take it home and eat it. 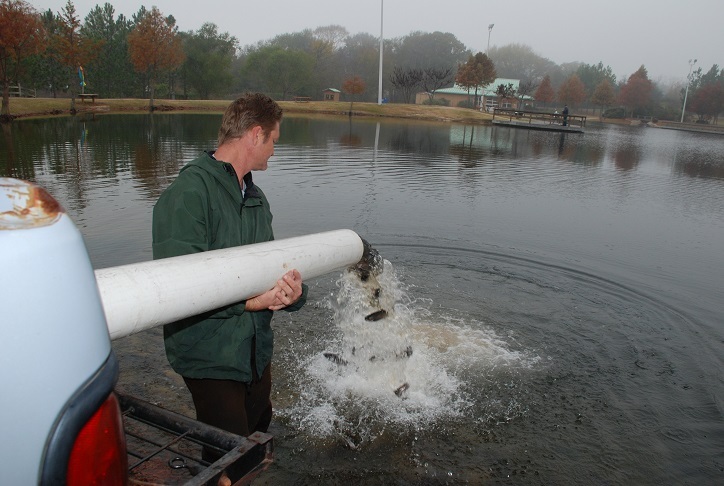 The Sport fish restoration program supports our series and helps to fund rainbow trout stocking in Texas. We record our series at The Block House in Austin, Texas and Joel Block engineers our program. In the 1800s, an annual competition called The Side Hunt pitted teams of hunters against one another. They wanted to see who could bag the most feathered and furry things. Once people woke up and smelled the carnage, in 1900, the Side Hunt evolved into The Christmas Bird Census–and finally the Christmas Bird Count. The only thing people kill in the count is a little time, and maybe a thermos of coffee. The event’s in its 118th year. Which makes it the longest running citizen science project in the world. Which is pretty impressive, and it started right here in the US. Texas Parks and Wildlife ornithologist, Cliff Shackelford. Birders count from inside a 15-mile diameter circle. You go out into a fixed area and count birds. And the neat thing is, if you stick with that area like you should, and you do it for 10, 20, 30, 40 years–you start seeing trends. 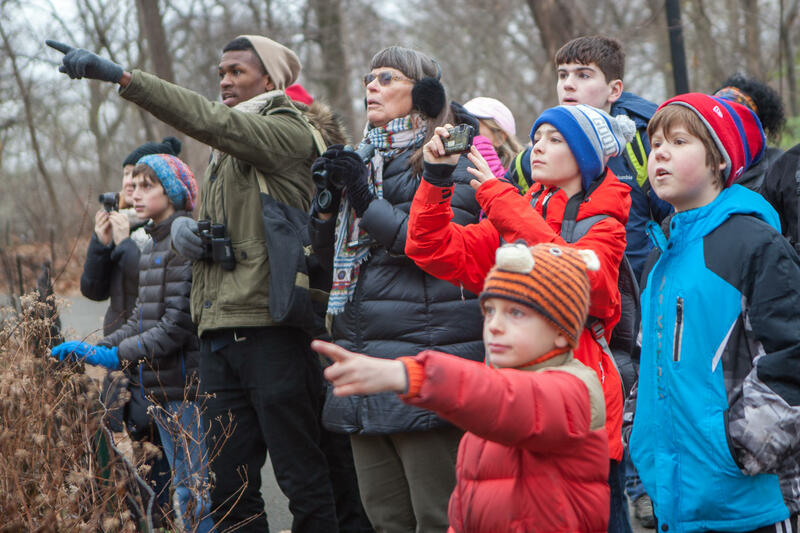 Trend spotting is the true value of the bird count. Those counts that are very old, that have forty plus years of data, we can start seeing things. And we are. We’re seeing things like the American Tree Sparrow is not coming down to Texas much anymore. I don’t think they’re rare, they just don’t need to come all the way south for “maybe”climate change. Maybe it’s not so cold up north; they don’t need to come down. 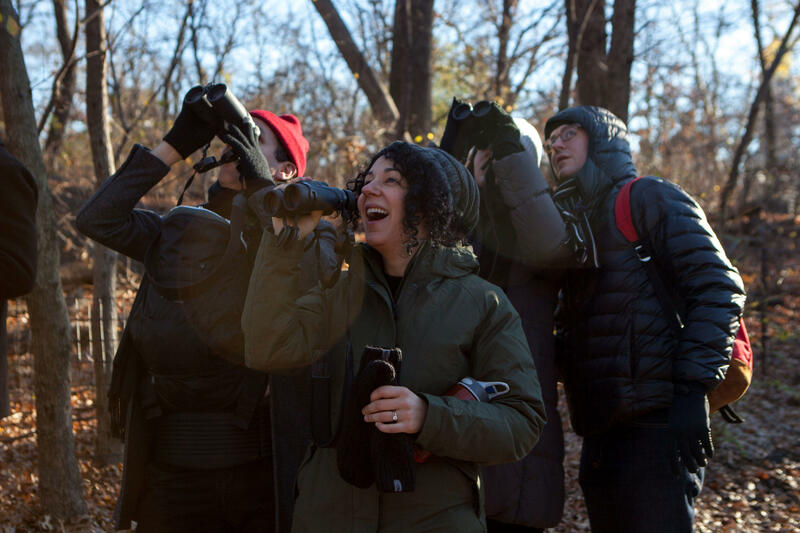 That’s the beauty of the Christmas Bird Count — you can look at it continentally– and see where the changes are in the bird life. Tomorrow … how the Christmas Bird Count works. 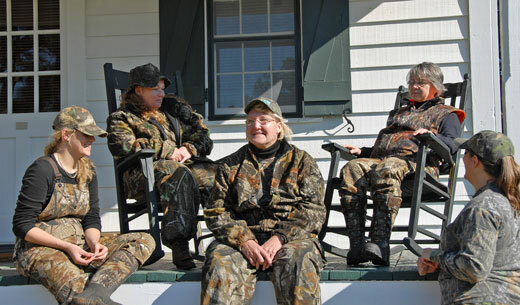 Women relaxing after the hunt. Image from National Shooting Sports. That’s how a group of ten women started a weekend hunting trip at a Hill Country ranch – by taking practice shots at targets. Ranch manager Troy Calloway explains. Sometimes we get people out here who have never shot before, so we set ‘em up and assess the situation….. But everybody here is nailing it; we’re good to go it looks like. Hunt coordinator, Tami Moore, told me that women make up less than 10% of all licensed hunters, and she thinks she may know why. I think a lot of women are afraid that they’re going to fail, because they’re just scared. And going out with another group of ladies, in a situation like we are this weekend, takes a lot of that out of it. Kathy Keller of Austin is an experienced hunter. We spoke in her deer blind. Oh, this is really great. And it’s exciting to see that women are getting into this sport and learning about hunting and wildlife. Kathy explains what it was like the first time she harvested an animal. It was something that made me think. I’ve taken this life, and I had to think about why I was doing it. And I realized that it is a big responsibility. Find hunting information and resources on the Texas parks and Wildlife website. The Wildlife Restoration Program supports our series and works to increase hunting and shooting opportunities in Texas. 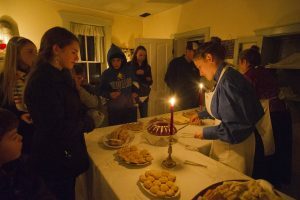 Mark December 14 through Saturday, January 5, 2019 on your calendar. Those are the dates of the 119th Annual Christmas Bird Count (CBC), organized by the National Audubon Society. In the December issue of Texas Parks and Wildlife magazine, writer, Melissa Gaskill, takes readers to the Texas coast, and Matagorda County, where they become immersed in last year’s counting activities. Gaskill writes: In the 2017 count, Matagorda County reported 220 species, ranking it number one for total species for the 11th year in a row and 25th time overall. The article is part of the magazine’s year-long celebration of Epic Texas Challenges. 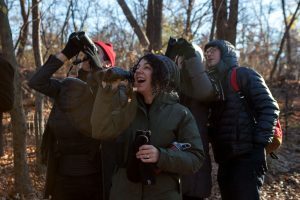 Gaskill says: Between the wildlife, unpredictable weather, occasionally remote locations, and subtle but unmistakable air of competition, the Christmas Bird Count qualifies as bona fide adventure. Researchers compile the data collected by birders and use it to guide allocation of conservation dollars, land management decisions, and wildlife policy. To participate in the CBC, visit audubon.org and find a counting circle near you.